A beautifully designed personal booking website goes a long way. It’s one of the first impressions that potential clients have of you. That’s why we designed an elegant, professional booking site to help you impress clients. Professionals customize their site with creative content like a background picture, photos of their work, a personal bio, info about their business, etc. 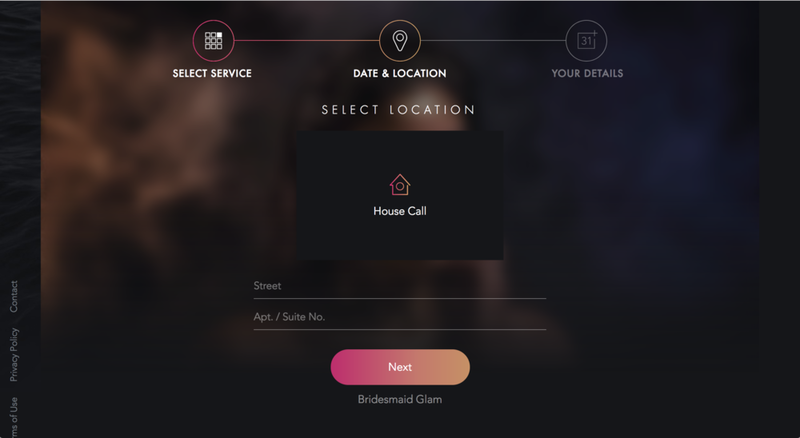 We’ve seen so many STUNNING booking sites that GlossGenius professionals have created to step up their business brand and we’re featuring them so we can share them with you. Click through them, use them for inspiration, and let us know if you see any other personal sites that you’d like us to feature! Our Personal Site of this Week is Alexandria’s. About Alexandria: Alexandria is a professional Makeup Artist and certified Cosmetologist who has been doing makeup for 5 years. Her specialties include: weddings, photoshoots and Special Event Makeup. Located in Central Florida, she is currently a traveling free-lance artist. It’s magical: Alexandria specialties include photoshoots and special event makeup. What better way to get a client excited to book her than to show how stunning she can make them look? The flecks of gold enhance her makeup to make her look like a mythical goddess. One of Alexandria’s specialties is weddings. However, she doesn’t stop just at offering “Bridal Makeup.” Alexandria offers a few services that add value for clients and increase her sales! Package Deals: Alexandria offers packages for bridesmaid makeups. After all, what’s better than getting a makeover with your friends and for a discount? As a free-lance artist, Alexandria offers online booking options for clients that includes House Calls. Clients can easily choose where they want Alexandria to meet her. She also clearly specifies in her About page that “travel fee is not included in the price. It is added additional depending on the location,” leaving less room for miscommunication. Alexandria has a strong social media presence, and she directly links her social media following to her booking page in her bio. On the top right of her website, she also links clients to her social media. This makes it easy for clients to find Alexandria’s pages, ensuring that all public profiles of her brand are displayed. Keep your eyes out for our next feature and start thinking -- what will your business brand look like? DM us on Instagram @glossgenius if you want to share any cool personal booking sites on GlossGenius that you’ve seen as well! Want to set up a personal booking site like Alexandria’s? Sign up for your free 14-day trial of GlossGenius here!